Hi, everyone! 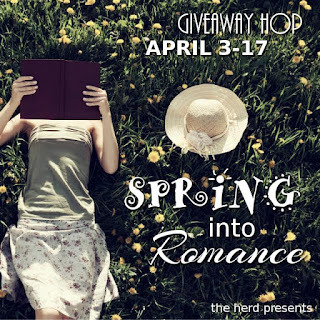 Thanks for stopping by my stop in the Spring into Romance Giveaway Hop. The next few months are full of awesome looking reads that I can't wait to get my hands on. My picks have to be the four below and I tossed in two movies I cannot wait to see. Don't forget to enter the giveaway below for your chance to win. Good luck! Giveaway will be from 4/3/17 12:01 AM to 4/17/17 11:59 PM. I will email the winner, they will have 48 hours to respond or another winner will be chosen. No problem :) Good luck!! I'm really excited for Snared and White Hot. Thanks so much for the contest. I hope so as well :) No problem! I haven't heard of these books. I have to admit I giggled at "Buns" :) We are totally waiting on edge for the next Guardians of the Galaxy movie. It took me forever to watch the first but my son won me over. Now I am totally all in. 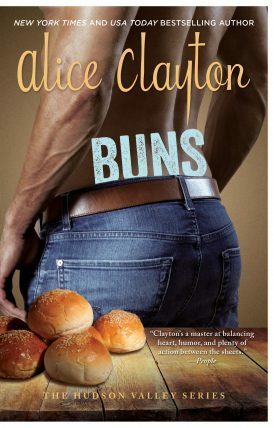 Haha that author adds a ton of humor in her books, so I'm sure "Buns" was on purpose ;) I hope you enjoy the movie and good luck on the giveaway!! I'm about to start Snared. Love that series. I also cannot wait to watch Guardians of the Galaxy! Baby Groot!! These look pretty interesting, but I'm definitely excited for the new Alien movie. Love the franchise, along with Predator. No problem, good luck Adik! Yessssss to Buns and White Hot! Yay!! :D I hope you enjoy both! Can't wait for White Hot or Guardians of the galaxy 2! Thank you for this awesome giveaway and good luck everybody! Oh yea! I want to go see Guardians of the Galaxy 2 as well! Thanks for the giveaway, I can't wait for Guardians of the Galaxy either. What a great giveaway prize, thank you so much! Oh I am also so excited for Blame It on the Duke - Lenora Bell!!! 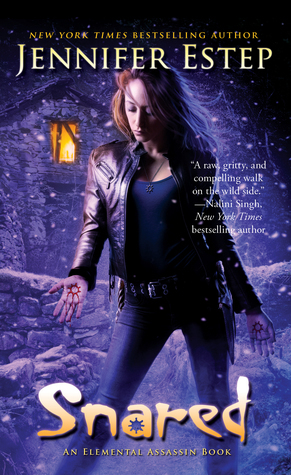 I'm looking forward to Silence Fallen by Patricia Briggs, Wicked Abyss by Kresley Cole, White Hot by Ilona Andrews, and Silver Silence by Nalini Singh. Thanks for the giveaway. I'm looking forward to reading the next book in Isabel Micheal's Blake series. No problem, good luck Maria! I want to read The Deep End (Honey #1) by Kristen Ashley :) There's a #2 out already! Oooh I'll have to check that one, thanks!! I'm so looking forward to Guardians of the Galaxy too!! I love baby Groot! Thanks for the chance to win, I love the Marvels series. GotG is hilarious, I'm definitely waiting for it! :) I have a feeling the theaters are going to be packed when it releases!! I can't wait for Snared! I finished up the review copy for Snared recently and LOVED it. Hope you enjoy!! Thanks for the giveaway! I'm excited about White Hot too! Woohoo! I <3 IAndrews books. So glad we're getting two books in that series this year!! These hops are so much fun. Thank you!